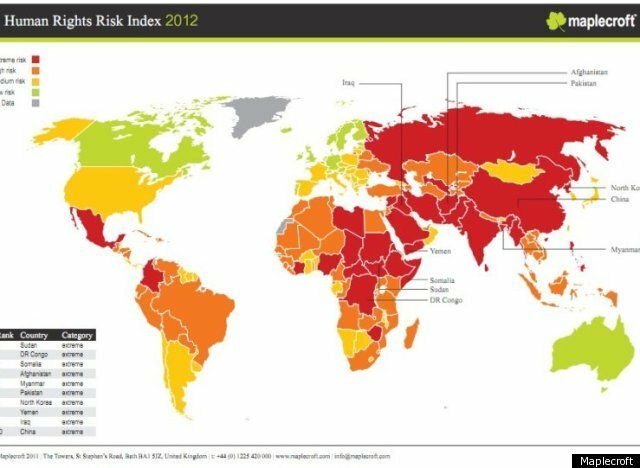 Maplecroft's Human Rights Risk Index for 2012 paints a grim picture of human rights in countries worldwide. The research agency ranked 197 countries according to their commitment to human rights and concluded that over 48 percent of the assessed nations are at an "extreme" or "high" risk of human rights violations. "In its fifth year, the Maplecroft Human Rights Risk Atlas paints a picture of a continuously worsening landscape for human rights in 2012 worldwide. Maplecroft's analyses over the past five years reveal a steady trend of a deteriorating human rights situation with more and more countries presenting 'extreme' or 'high' risk for human rights," the report reads. Maplecroft analyzes structural, process and outcome indicators to assess violentions on the ground, and studies legislative and international treaty commitments for each country individually. In this year's index, twenty percent of the countries in the category of "extreme risk" were part of the Arab Spring. 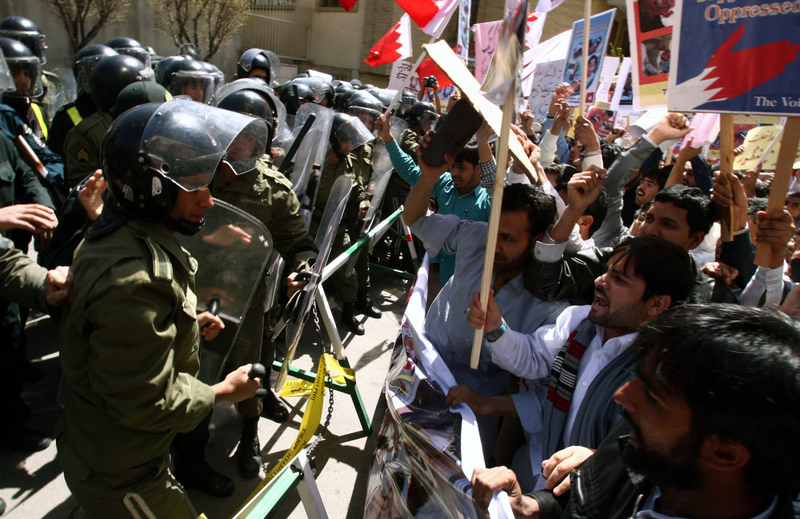 Although the human rights situation in those nations might improve in the future, the violent crackdown on protesters in many of them have shown few improvements so far. For example, while Egypt (35th) initially provided a shining example of the possibility of a better protection of the rightsof the individual after the government of Hosni Mubarak resigned repressive pre-election violence by security forces of the transitional military council in late November 2011 conveys a different picture. The number of arbitrary arrests and detentions in Egypt increased and the country ranks 15th in the 'extreme risk' category in the 2012 Arbitrary Arrests and Detentions Index. Other countries affected by the "Arab Spring" showed a drastic increase in risk in Maplecroft's 2012 Extrajudicial or Unlawful Killings Index (EUKI) and other indices assessing human security as well as in the Civil and Political Rights Index particularly in relation to freedom of opinion and expression. Take a look at the 10 countries most at risk of human rights violations in 2012.